Airbrush makeup has popped up as a latest trend in the beauty industry as it is believed to give better finish and longer lasting results as compared to traditional makeup done by hands. Air brush makeup utilizes the latest techniques and equipments to do makeup. You will be surprised to know that this makeup technique actually came into being long back, somewhere around the year 1925, it is now that it gained so much popularity. The question is, What exactly differentiated airbrush makeup techniques from the traditional ones? Well, air brush makeup does not make use of makeup sponges, brush or fingers to apply makeup. Instead. The makeup products are sprayed over the skin directly using a air brush gun. The air brush spray gun releases a very fine mist of makeup product which gives a smooth, seamless finish and a very natural appearance with lesser quantity of product. The result is your blemishes get covered with least makeup and skin looks naturally flawless. Since, only a fine layer of makeup is applied in form of multiple microdots, the skin is actually able to breathe. It would stay intact on skin to skin contact unless, you use a makeup remover to remove it. Silicon based cosmetics are removed with the help of special cleansers that are alcohol based to dissolve the products. These makeup techniques are very precise and therefore, are more commonly practiced in the film and fashion industry where air brush makeup tools also speed up the makeup application of the cast and crew. Also, high end beauty salons in various cities are offering lucrative Bridal and pre Bridal makeup packages using the air brush technique now a days. It has also gained a lot more popularity after the advent of HD cameras which catch even minor flaws in makeup, making it essential to have very carefully done, finely finished, radiant and non patchy makeup application. Airbrush makeup does not settle into your pores and fine lines, as opposed to traditional makeup which often gets clumped in wrinkles giving you a cakey, layered up appearance. 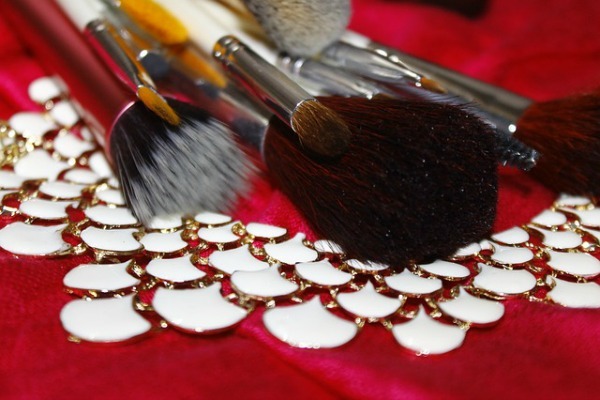 Since, airbrush makeup is done my means of a fine mist of product, the product gets deposited as a fine, evenly thick layer over your skin that has to be suitably primed and smoothed before spraying on the makeup using the air brush gun. Also, since the mist gets settled very finely onto your skin, air brush makeup lasts much longer than the traditional makeup. An average lasting power of the air brush makeup being, 12 hours or so. Not only, for doing the base makeup, it can be equally useful in applying eye makeup, lip makeup, and blush on and also to contour your face using bronzers, highlighters and illuminators. Another very major advantage is that it is a lot more hygienic, you do not have to worry about your makeup brushes or sponges or even the makeup products, per se, being properly sanitized as nothing touches anybody’s skin so, the chances of bacterial transfer between clients is minimal. The makeup is always done from a distance from the skin. One thing, you have to cautious is that your makeup artist has got to have a practiced hand in applying air brush makeup to get the desired results. It is your right to question your makeup artist about how many clients he or she has done air brush makeup for and you may also look out for the feedback from a few customers about their experience. Even with airbrush makeup, your makeup artist might need to use freehand to add the final touches and do some defining and add certain intricate details to your makeup. Like everything else, airbrush makeup has it’s own set of flaws and disadvantages. First one is for the makeup artist, there is a lot of likelihood that you might inhale the mist of makeup. This might not be good for your lungs so, you have to be extra careful to wear a protective mask while spraying on the makeup. Second, it is expensive for the obvious high cost of equipment and makeup products. It needs a practiced hand to do your air brush makeup for the big day. Lastly, you cannot carry these products and equipment around. As is the case with any other makeup, with air brush makeup too, your skin has to be thoroughly cleansed before we start with anything. 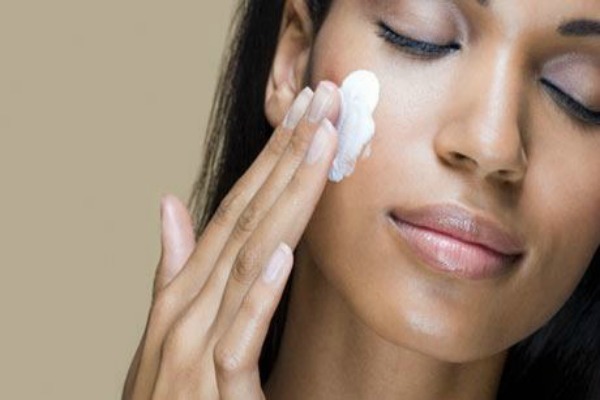 To ensure that your pores are not clogged with any debris, use the double cleansing method, where in, you apply an oil or cream based cleanser first and wipe it off to remove any residual makeup products from your pores and then follow it with a soap based cleanser to do away with deposits of the previous cleanser, dust and grime deposits from your facial skin. This has to be followed with a toner and also a pore refining serum that unclogs your pores. Follow this with a light textured lotion to hydrate your skin. A well hydrated skin ensures an even application of makeup however, stay away from oily creams as they are not going to help you at all. After your primer and foundation are done, in most cases there is not even a need to use a powder to set the makeup as, the air coming from the air gun quickly dries and sets your base makeup, as it is. The makeup base you get through the air brush gun is way more sheer, radiant and non cakey as compared to the traditional makeup where, the layers of products, do somehow appear obvious, no matter how practiced your hand is! 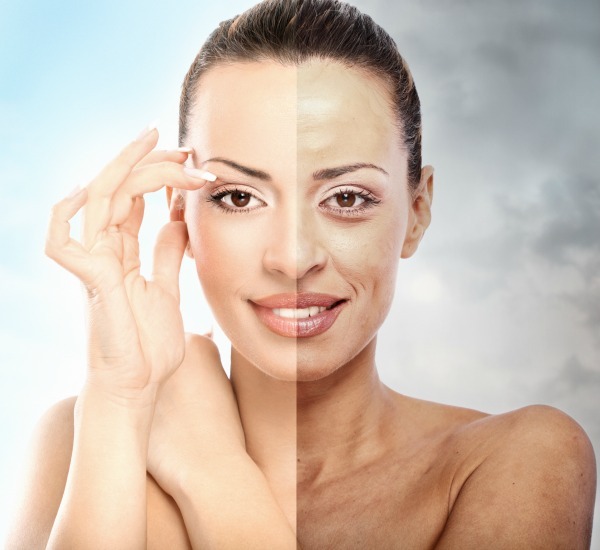 Firstly, your discolorations and scars are concealed followed with the foundation. Your makeup artist would not use more than 6 to 10 drops of foundation and spray those across your face using the air brush set to a PSI Strength ranging between low to medium. Around delicate areas like eyes and nose, low PSI is preferred while doing your cheeks and full on blemishes is preferred under medium pressure. The spray gun is kept nearly 6 to 12 inches away from you facial skin and sprayed using either circular motions or forward back ward motions while spraying your makeup. If you are a makeup artist, apply foundation symmetrically on both the sides of the face, using the same amount of product as far as possible. The aim is to get an even coverage with no obvious dark patches or discolorations, showing through. Do not look to alter the original complexion of the client. Do not go overboard with either the coverage or contouring for a sheer, natural appearance. Do the neck after you are done with foundation application on the neck. You do not have to worry much about the staying power as the makeup sets very quick and is water proof as well as smudge proof. Also, in most instances, it would not break you out as it is applied very hygienically and sets on the surface without clogging your facial pores as it does not get into your pores but settles on the skin surface itself allowing your pores to breathe. A typical airbrush makeup kit consists of an airbrush, air compressor, nozzles, vials and hose. Many kits also come with a user manual and a start up CD to equip you with enough knowledge on how to apply airbrush makeup. The hand pieces might be single action or dual action types. In the dual action type, a blast of air helps to direct the spray or mist of makeup towards the required area. Also, while mixing different shades of makeup to get a desired shade a blast of air is used. You need to clean your hand pieces after each use to prevent blockage of nozzles. The price range varies from kit to kit but you must not look at the price much. Instead, focus on the quality as the kit is going to be a long term investment and you have to deliver good results to your customers. Go for a quality product. Water based: These are mostly suitable for oily skin and sensitive skin as they are least known to cause allergies. Water based products have a well ground pigments dispersed in water. In general, the products used for air brush make up are oil free, non greasy, alcohol free and hypoallergenic. Different types of air brush makeup products work for different skin types and different occasions depending upon the length of time you require the makeup to stay. So, you may take your pick from what you think might suit your client the best. 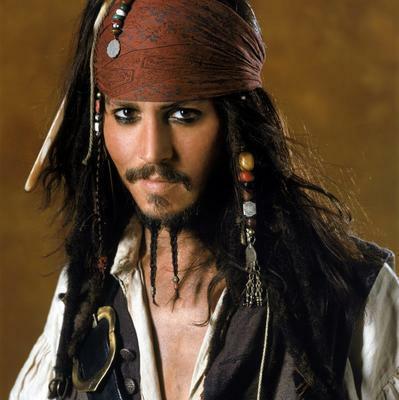 Have a look at our images to appreciate how our Hollywood stars including Eva Longoria AND Jhonny depp are seen flaunting air brushed makeup looks in various movies and appearances. We hope our post has been helpful for all of you who wish to do airbrush makeup.